TWU’s Stark Hall is a Living Learning Community. 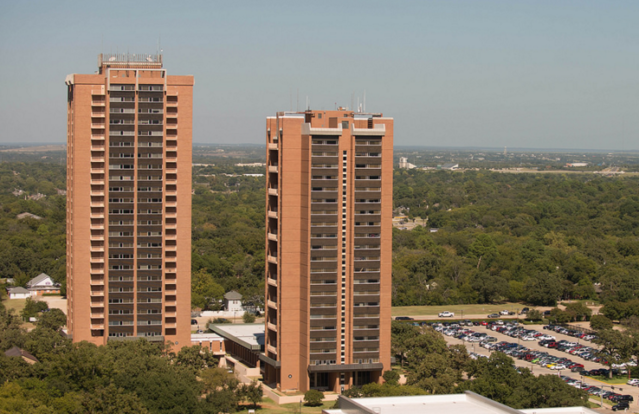 Home to first year and sophomore students, Stark Hall is a 21-story co-educational residence with sorority suites occupying 3 floors. 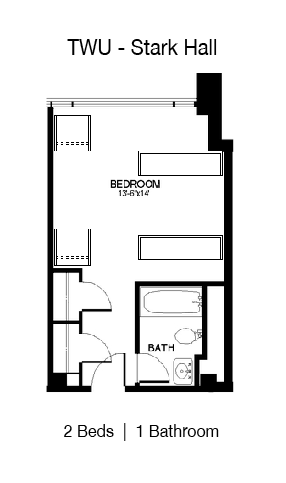 Stark Hall has double and triple occupancy rooms, each with a private bath. Every room is equipped with two data ports to connect your computer to the university Resnet internet service, wireless is also available. Stark’s spacious, yet cozy living room is the perfect setting for group activities. For larger social functions, recreation activities, and study, the Commons is located to just north of and connected to Stark Hall. A computer lab is also available for residents in the commons. Students living at Stark Hall are required to purchase a Tradition Meal Plan. * Per Semester Rates / Housing & Meal Plan Rates are subject to change without notice.